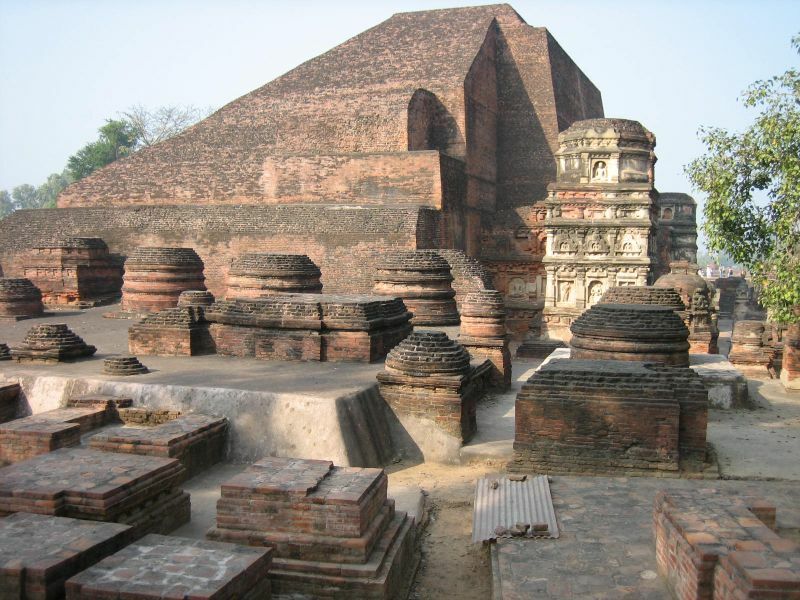 Nalanda University India ruins: A-Waste? The Fair Trade Recycling Association has been asked by professors at Memorial University and Middlebury College to suggest a "reading list" for students preparing to attend the Fair Trade Recycling Summit. The Summit will be streamed online from Middlebury College on April 16, 2013. Colleges and universities outside of Middlebury are watching, from classrooms in the faraway reaches of Africa, South America, and California. I thought I'd post the readings which have been discussed and may be assigned to the classes at Middlebury College. It's a great bibliography for a serious term paper in environmental studies or international economics or political science. Big Works are from 1960. Environmental Studies they should be aware of them and we can recommend a chapter of each. "Silent Spring" by Rachael Carlson, created awareness/knowledge of an "invisible toxic enemy". "The Waste Makers" by Vance Packard, is about the corporate bias against reuse and repair, and the extent to which "planned obsolescence" will grow. Republished featuring an introduction by Bill McKibben of Middlebury College. The question is whether the "Waste Makers" are using cognitive risk marketing (from Silent Spring) to make environmentalists exaggerate fear of "e-waste" recycling. US Geological Survey - there are MANY good references here, I would suggest the professors assign questions that students can find answers to at USGS.gov. Jeff Munroe may be able to narrow it down rather than send them to hunt it. - world gold demand, where does it go? - percentage of gold, copper, rare earths consumed by electronics industry? "Story of Stuff" is a good beginner's lesson of the theory of externalization, specifically applied to electronics production (both mining/extraction, use and disposal). We would also recommend the "Critique of Story of Stuff", also on youtube. ** 7/7 - Seven short articles by Adam Minter published by The Atlantic. Adam Minter is a Shanghai, China based author and journalist whose blog "Shanghaiscrap.com", World View column at Bloomberg, and upcoming book "Junkyard Planet", are fed with boots-on-the-ground investigative work at recycling yards in China, India, Malaysia, etc. Press Release by EPA US EPA's description of the recent arrest and conviction of a USA-Egypt used electronics sales ring. See also Basel Action Network's description of the arrest, and the critique thereof. **Coverage of Egyptian export by 3Sat (German) Interview with FTR founder Ingenthron. Environmental Health Perspectives 2006 "Unfair Trade e-Waste in Africa", - Schmidt. First scholarly article focusing on debate between export critics (Puckett) and free trade advocates (Ingenthron). A Place Called "Away" by Jim Puckett 2011, Basel Action Network founder. Revenge of the TV Monitor Zombies, Discovery News, 2010. (Compares BAN.org and WR3A.org approaches to improving trade in used electronics). ** Product or Waste? Importation and End-of-Life Processing of Computers in Peru (Kahhat/Williams 2009). Analysis of used computers imported into Lima, Peru. ** Survey: Inside the U.S. Electronics Recycling Industry (September 2011, David Daoud, IDC Harris) documents processing capacity for "non-reuse" e-waste in the USA to exceed the amount of used electronics generated or disposed, placing 35,296 Americans in full-time employment performing this work. The Report claims that 70% of this material (by weight) can be tracked as scrap sales (steel, aluminum, plastic, copper, etc. ), 10% resold as fully functional equipment, and 18% sold for repair and refurbishment. Yu, Jinglei, Eric Williams, Meiting Ju, and Yan Yang. 2010. “Forecasting Global Generation of Obsolete Personal Computers.” Environmental Science & Technology 44 (9): 3232–3237. doi:10.1021/es903350q. Lepawsky, J. and Mather, C. (2011), From beginnings and endings to boundaries and edges: rethinking circulation and exchange through electronic waste. Area, 43: 242--249. doi: 10.1111/j.1475-4762.2011.01018 (open access:http://onlinelibrary.wiley.com/doi/10.1111/j.1475-4762.2011.01018.x/abstract ).